A tiny house is a small house that is very carefully designed in order to have everything you might need including a kitchen, bathroom, living area, and bed in as little as 100 square feet. According to The Tiny Life, a leading resource for those who live in tiny homes, the average tiny home is 186 square feet, but they can be as large as 500 square feet - much smaller than the typical U.S. house which, according to the Census Bureau, takes up over 2,600 square feet. While there are definitely challenges to living in such a small space, tiny houses aren’t just dwellings - they’re part of a movement that was started by people who wanted to live simple and minimalistic lives. Many of these people were also overwhelmed with the cost of buying a normal sized home and wanted to live debt-free and not pay rent. According to The Tiny Life, the average cost to build a tiny house is just $23,000 if it's built by the owner. While some tiny homes can range in price up to $60,000, building a tiny house is much cheaper than building a normal sized home. That translates into the fact that around 60% of people who live in tiny homes have no mortgage. This has made the tiny house movement particularly attractive to seniors, many of whom are looking to downsize and live within their means on limited incomes. Around two out of every five tiny home owners are above the age of 50 years old. While many people might dream of living in a tiny house, there are often road bumps along the way for many would be tiny home owners. One of those road bumps is securing financing. Tiny homes are often built on wheels in order to avoid having to comply with local building codes which would make their construction either impossible or prohibitively expensive. This also enables tiny homes to be portable and to be kept on properties where secondary dwellings are not permitted. But that makes getting a mortgage for a tiny home often impossible. Very few lenders will offer mortgages on tiny homes if they are not built on a foundation. So, how do tiny house owners pay for their homes? A very limited number of tiny home builders offer direct financing on tiny homes. Among the builders who offer financing is Tumbleweed Tiny Home Company which offers RV loans on their products. Some tiny house builders will also allow you to spread out your payments over a period of months rather than pay a lump sum. What you'll be more likely to find, are tiny house manufacturers who have gotten certified as recreational vehicle manufacturers. By doing so, these builders and manufacturers allow you to qualify for an RV loan in order to finance your tiny home. An RV loan is often easier to get approved for and has lower rates than other types of tiny house financing. That's because RV loans are secured loans where tiny home or RV would act as collateral in case you were unable to pay your loan. If your home builder isn't certified as an RV manufacturer or if you want to build your tiny house yourself, then a personal loan is a great option for paying for a tiny home. To qualify for a personal loan, you must have a good credit score and income. The amount you'll pay in interest will depend on your personal financial situation, how much you're borrowing, and the terms of the loan. Typically, a personal loan would be more expensive than an RV loan because it’s not a secured loan, but the difference can often be minimal. Should You Use a Credit Card? Some seniors have a hard time qualifying for either an RV loan or a personal loan, particularly those who are already retired and on a limited income. But does it make sense to finance your tiny house on a credit card? Because of the high interest rates of most credit cards, this could lead to financial issues if you don't have a plan to pay it off. One option is to get a card with a 0% introductory rate for at least a year. If you have a plan to pay off that balance within the year, then using a credit card might make sense. Otherwise, it's important to be very careful when using a credit card to finance such a big purchase. Should You Borrow from Your Retirement? When it comes taking money from your retirement accounts to finance a tiny house, there are a few options. Withdrawals from your 401(k) can sometimes be made without penalties if you’re retired or over a particular age, but the amount you’re able to take out might be limited. There are also options for taking loans from your 401(k). 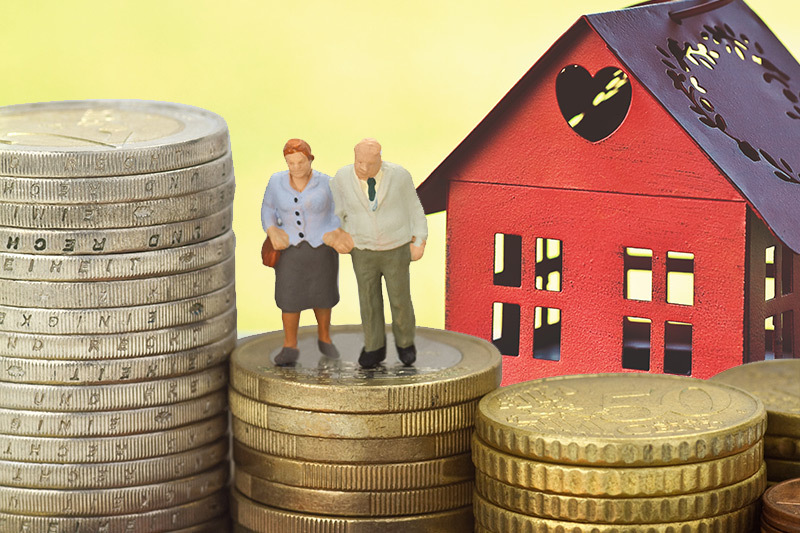 While some might think the IRA rules around buying a house might apply, that is only the case if your tiny house is built according to code and on a foundation, but there are some circumstances in which you can withdraw your IRA funds. While borrowing or withdrawing money from your retirement accounts might be possible, it's likely not a good solution. It's important that you speak to a financial planner to determine how it would affect your future income retirement income before doing so. Ultimately, how you finance your tiny house dreams will likely be based on your particular financial situation, the type of tiny house you want to build or buy, and the kinds of financing you will qualify for. Many seniors will also be able to pay for their tiny houses in cash from the sale of other real estate. Whatever method you choose, you’ll likely love the financial freedom of living the tiny house lifestyle! Nate Matherson is the Co-Creator of a website called LendEDU. Nate enjoys writing about personal finance and helping others learn about their finances. “Tiny House Infographic,” The Tiny Life. “New US homes today are 1,000 square feet larger than in 1973 and living space per person has nearly doubled,” American Enterprise Institute. “What Is The Tiny House Movement?” The Tiny Life. “Can You Use a Personal Loan to Finance a Tiny House?” LendEDU. “Here’s what happens when you take out a loan on your 401(k)” MarketWatch. “Can You Use Your IRA to Buy a House?” Investopedia.